Yahoo! had this cute animation, which I took a screen cast of and put on YouTube. The video is pretty stretched out, so please keep that in mind. 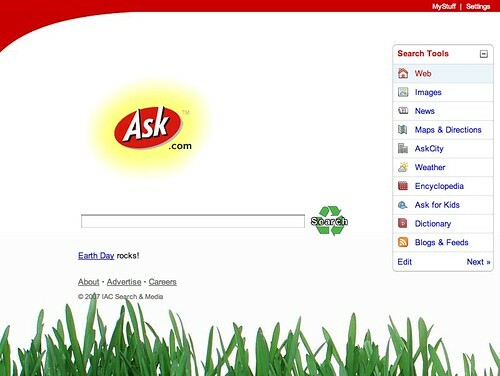 Last year's Earth Day designs can be found here and 2005 over here, and Google's 2004 here. Previous story: Is Too Much Content A Bad Thing For SEO & Search Rankings?